The Dow Jones today is trending downward after Paul Manafort turned himself in to the FBI this morning, increasing uncertainty over Trump's presidency and the possibility of tax cuts this year. 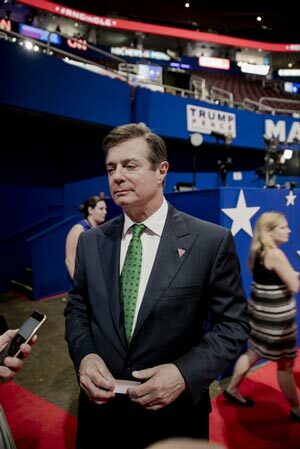 Today, headlines will focus extensively on an indictment by a grand jury of former Trump campaign Chair Paul Manafort. The decision comes after a months-long investigation into potential meddling by the Russian government into the 2016 election. Stocks are likely falling as the arrest raises uncertainty over the ability of Republicans to pass a new tax cut and questions about how far the probe will go. As positive earnings reports continue to pile up, markets are keeping a close eye on a geopolitical upheaval in Catalonia. After the wealthy region that contains Barcelona declared independence last week, anti-independence protesters flooded the region and the Spanish government dissolved the local government. Though it remains unclear how this story will play out, it has emboldened a number of separatist regions across the European Union and could fuel even greater nationalist and anti-globalist sentiment in the year ahead. Who will run the U.S. Federal Reserve next? President Donald Trump's Fed candidates are probably down to three candidates right now: Fed Governor Jerome Powell, Stanford economist John Taylor, and current central bank Chair Janet Yellen. Early reports indicate that Powell is emerging as the favorite. The decision would allow Trump to remove Yellen – a move that would excite his base – but ensure the stability of monetary policy over the next few years. The price of Bitcoin surged to a new record over the weekend. The price topped $6,300 as concerns about the recent hard fork subsided and buying intensified. Prices have now surged by more than 530% since Bitcoin topped $1,000 at the beginning of the year. For more on what is driving the prices of Bitcoin and other cryptocurrencies, be sure to check out our daily coverage of the sector. Here is our latest insight on the crypto space. How Much Would War with North Korea Cost? 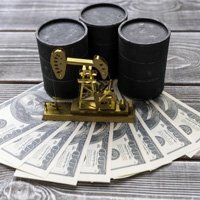 Crude oil prices were on the rise as traders continue to anticipate that OPEC members are on the verge of extending their deal to cap excessive production. Brent crude is hovering around $60 per barrel, a figure that hasn't been seen since 2015. The one bearish factor floating around the market today is news that Iraq is on the verge of expanding its export capacity. That concern may be overblown should the country work with fellow OPEC partners to help reduce global supply and inventory levels. The WTI crude oil price today fell 0.5%. Brent crude dropped 0.7%. Shares of Mondelez International Inc. (Nasdaq: MDLZ) are in focus as the global snack giant prepares to report quarterly earnings after the bell today. Wall Street anticipates that the firm will report earnings per share of $0.54 on top of $6.46 billion in revenue. Shares of MDLZ stock were off 0.56% Friday despite the Nasdaq's broader rally. In deal news, expect a lot more chatter about the possibility that CVS Health Corp. (NYSE: CVS) takes over Aetna Inc. (NYSE: AET). Healthcare analysts speculate that CVS is attempting to deflect financial pressures from a pending jump into the drug benefits and delivery industry by Amazon.com Inc. (Nasdaq: AMZN). This week, we're going to dive into Amazon's pursuit of the Rx industry and more. Stay tuned. McDonald's Corp. (NYSE: MCD) is changing its name in China. However, the decision is leaving a bad taste in customers' mouths. The company will change its official name to Golden Arches (China) Co. and will adopt the Mandarin name "Jin Gong Men." The problem with the new name, which was under the radar until it was discovered in filing documents, is that the word "gong" sounds similar to another word that describes a pig digging and snorting in search for food. Look for earnings reports from Texas Roadhouse Inc. (Nasdaq: TXRH), Olin Corp. (NYSE: OLN), Diamond Offshore Drilling Inc. (NYSE: DO), Roper Technologies Inc. (NYSE: ROP), and Nautilus Inc. (Nasdaq: NLS). Take Control of Your Retirement: It's never too late to plan your retirement. You just have to take that first step. Our comprehensive guide, full of tips and tricks to maximize your wealth, can get you there. Access it here.